The right-click context menu in Windows 8 houses a host of useful commands that help you get things done infinitely faster. One such command is the Send to menu. Unfortunately though, much of the destinations in the Send to menu is left unused. With cloud storage becoming the norm of the day, it is far more important now to send documents and files to destinations such as Dropbox Google Drive, or SkyDrive. In this tutorial, we will take a look at how to add Google Drive to Send to Menu. You can then follow the same steps to add other destinations to the Send to menu, if required. The Send to destinations that you see on the right-click context menu are actually shortcuts to those destinations. 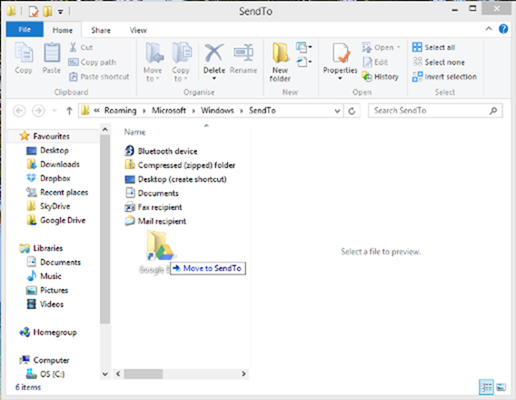 And these shortcuts are stored in a folder called the SendTo folder. What we will be doing in this tutorial is creating a shortcut to the destination you want to send to and dragging that shortcut to the said folder. Let’s move ahead to the steps. 1. If you haven’t already downloaded Google Drive on to your desktop, go ahead and download it here. Once downloaded run the installation, log into your account, and sync your files. The Google Drive wizard should help you out there. 2. 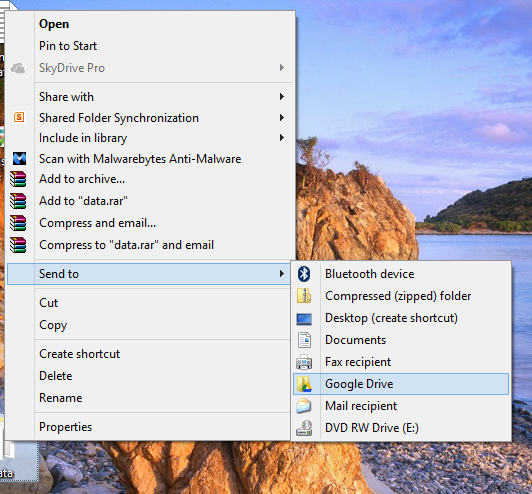 Now create a shortcut to Google Drive on your desktop. To do this, open up Windows Explorer by pressing Win+E. On Windows Explorer, on the left pane, in the Favorites section, you’ll notice the Google Drive command. Right-click the icon, select Send to –> Desktop (create shortcut). 3. Navigate to the desktop and press Win+R to display the Run window. 4. 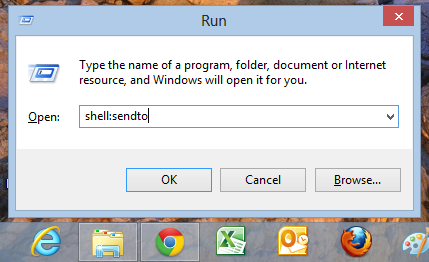 In the text box, type shell:sendto and press Enter. 5. This will open up the SendTo folder. Now drag the shortcut you created on the desktop to the SendTo folder. That’s it! 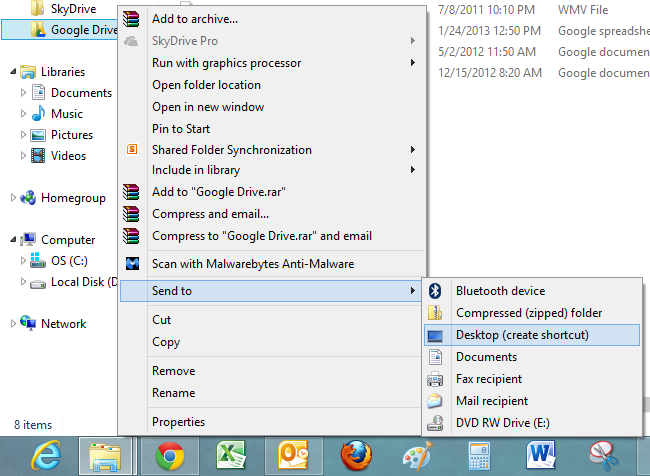 Close the Windows 8 Send to folder, head over to the desktop, right-click a file and check out the Send to menu. You will find the newly added destination Google Drive sitting pretty, ready for your use. Just as you add Google Drive to Send to Menu, you can create shortcuts to SkyDrive , Dropbox or other cloud storage solutions you use.